The Beaches and Islands of the Maldives are the main tourist attractions of the country and visited by a large number of tourist from India per year. Tourism in the Maldives include ecotourism, natural beauty, scuba diving, snorkeling, underwater scenery and listed as best recreational diving destinations in the world. 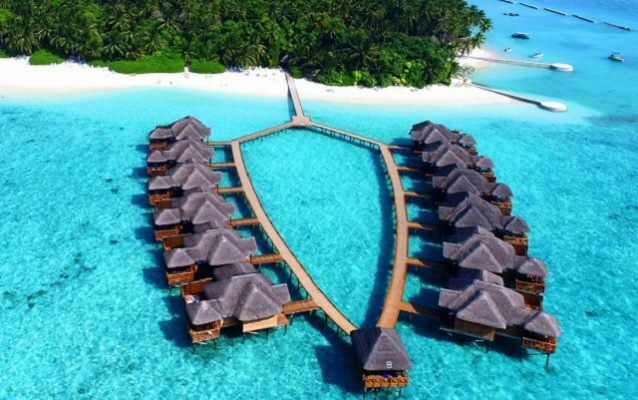 Mirihi Island is the most popular tourist island of Maldives and famous for overwater bungalows, holiday resorts, beach villas and Manta Rays and Whale sharks. 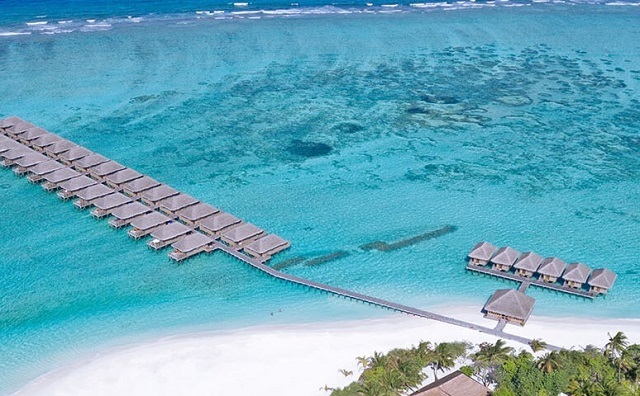 Rangali Island offers perfect escape in paradise and the Conrad Maldives is among the best Maldives luxury underwater hotel, voted as the best hotel in the world. Fihalhohi Island offers the great holiday with family and you will see the tropical natural beauty of the Indian Ocean. Alimatha Island of Maldives is rated as one of the best dive sites in the country and famous for its white beaches and aquamarine lagoons. Halaveli Island is a real paradise of Maldives where blue sky is as blue as the sea and the white sand of the beach are as white as the clouds in the sky. Biyadhoo Island is located 29 km from Male International Airport and famous for water sport activities such as windsurfing,canoe paddling, snorkeling, scuba diving and Catamaran. 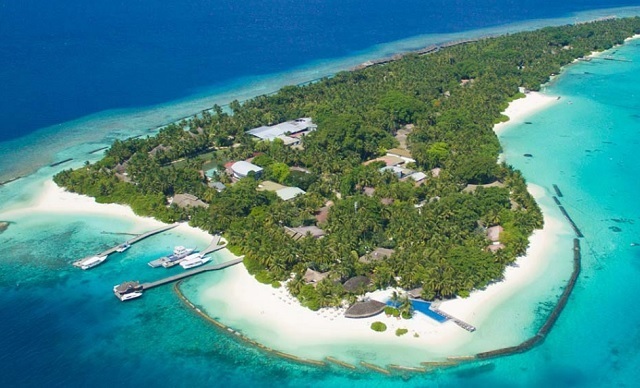 Biyaadhoo and Villivaru islands of Maldives are owned and managed by the Taj group from India. Have you ever heard about glowing beach of Maldives, Some of the bioluminescent phytoplankton beaches in the Maldives include Filitheyo Islands,Finalholi Islands and Mirihi Islands. Bikini Beach in Maafushi and Hulhumale Beach are two most popular tourist attractions in Maldives Island. Meeru Island offers the long stretches of white sandy beach and and colorful coral reefs. Ari Atoll are designated for tourist resorts and Scuba diving site, Surrounded by blue lagoon and long stretches of white sandy beaches. Kuramathi Island of Maldives is one of the largest islands from natural atoll and very famous for marine life. The island offers best holiday resort and luxurious private villas. Velana International Airport or Male International Airport is the gateway to the Maldives for tourist. Male International Airport runway built on Hulhule Island and has 3 International Terminal for the flights from Bangalore, Delhi, Thiruvananthapuram – Air India. Whale Submarine service in maldives offers the opportunity to intract with marine life in a very unique way and explore the underwater paradise of Maldives.